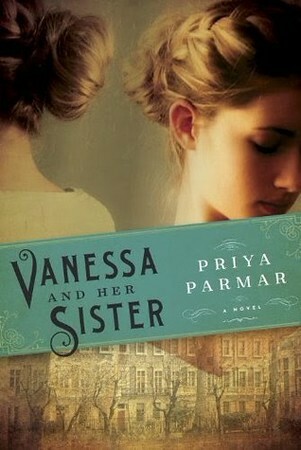 Vanessa and Her Sister: A Novel is told from the point of view of Vanessa Stephens. Vanessa Stephen’s sister is Virginia Stephens, who we knows Virginia Wolff. The books is a fascinating tale of what it might have been like to be Virginia Wolff’s sister. I knew that Virginia Wolff killed herself, so I knew she probably suffered form depression, but I didn’t know about her other personality issues. In the afterword, the author explains what liberties she took surrounding the basic facts of Virginia and Vanessa’s lives. This was a fine example of good historical fiction. I always judge historical fiction based on whether or not it makes me want to read non-fiction versions to find out more. This book definitely makes me want to learn more about Virginia Wolff’s life (and her sister). **Sidewalk Shoes is a participant in the Amazon Services LLC Associates Program, an affiliate advertising program designed to provide a means for sites to earn advertising fees by advertising and linking to amazon.com. **I received a copy of the book for review – as always, opinions are my own. I always judge historical fiction based on whether or not it makes me want to read non-fiction versions to find out more.